Thank you for your service as a Heavy Vehicle Driver. Easter is coming up. Happy Easter. It is so important for us all to acknowledge the sacrifices of those like you who answered our nation's call. Please watch over America, it stills needs your strength, courage and faithfulness. Rest in peace with the angels. 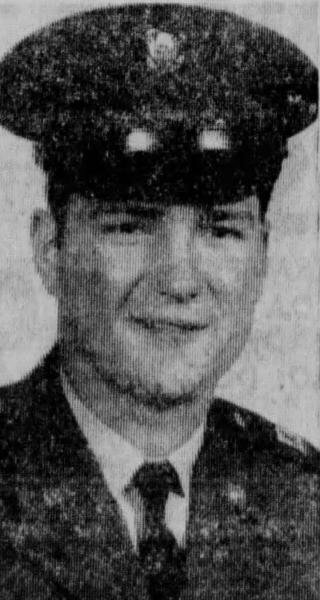 Private First Class James Gilbert Dalton, Served with Company B, Support Battalion, United States Army Support Depot ( Cam Ranh Bay), United States Army Support Command (Cam Ranh Bay), 1st Logistical Command, United States Army Vietnam. James Gilbert Dalton is the son of my Great Uncle. My grandmother and his father were brother and sister. They called him 'Jimmie Dalton' Jimmie you have been found.